SoftExpert Asset is enterprise software designed to help in managing the details of every company asset – from important factory machines to computers and vehicles. The software ensures you select the right equipment according to the needs of each task and that equipment is kept in working order for as long as possible and also replaced in a well-organized way, avoiding failures and disruptions in business processes. The solution maintains detailed records of the asset’s service schedules, location, verification and maintenance, while also providing powerful search capabilities that allow you to instantly list and organize assets by category, status, use condition, and many other fields. In addition, SoftExpert Asset integrates with enterprise business systems to enable truly strategic balancing of the trade-offs between asset availability and utilization. Most importantly, SoftExpert Asset meets requirements established by international standards and regulations, such as ISO 55000 for Asset Management, ISO 9000 Quality Guidelines, FDA 21CFR Part 11 Electronic Record Keeping, Good Manufacturing Practices, and others. Submits asset records to the approval process before they become available for use, improving compliance. 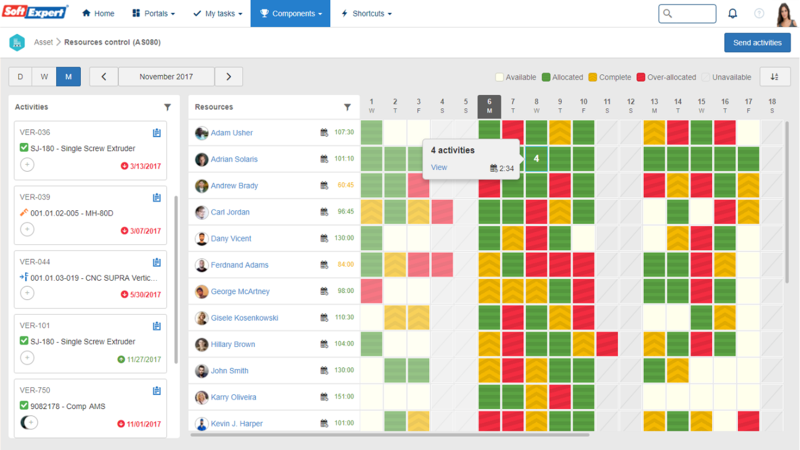 Provides asset check-in and check-out resources and shows what assets are available and how they are used. 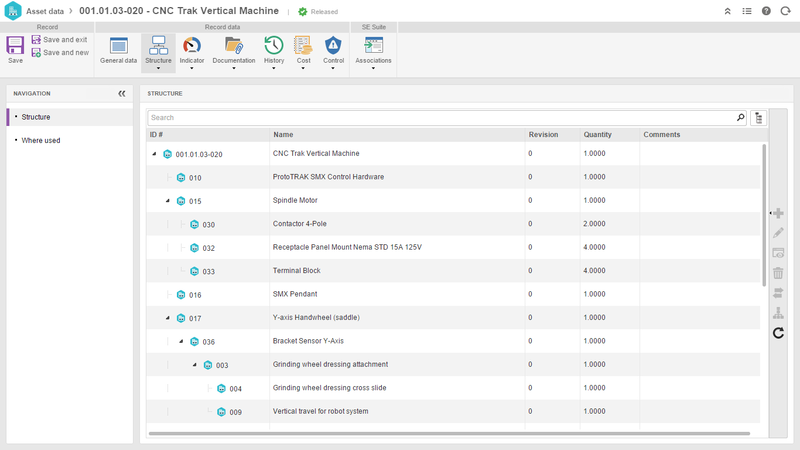 Monitors equipment uptime and downtime and tracks replacement intervals for equipment/parts. 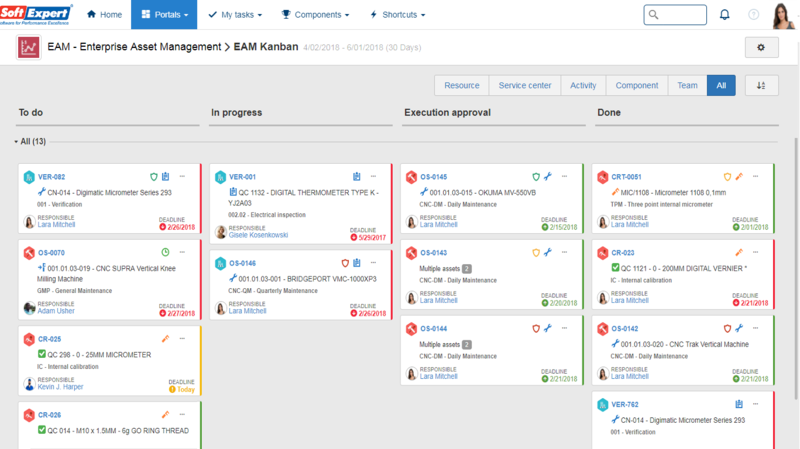 Allows activities to be executed using Kanban. Issues tags for assets with QR Codes. Performs asset inventory using smartphones or tablets. Allows companies to control all asset-related documentation, such as owner's manuals, configuration settings, lease agreements and warranty certificates as well as asset images. Makes a variety of flexible and powerful reports available to allow for analysis of company inventory, maintenance and repair histories, work orders, costs, etc. 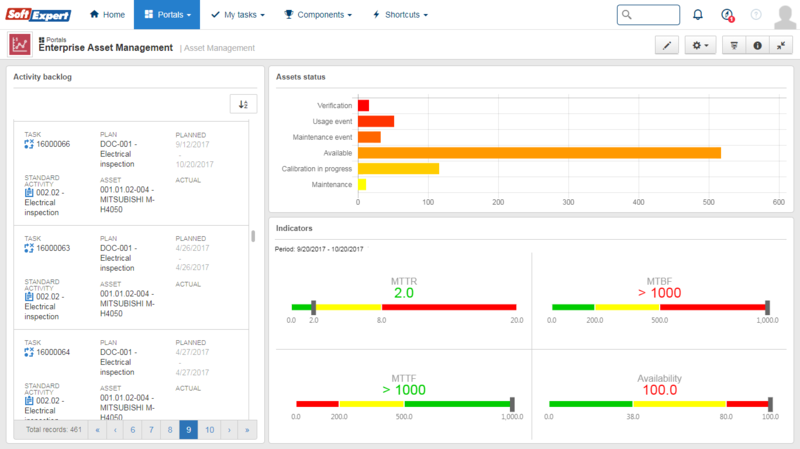 Helps to identify possible impacts and risks resulting from changes in the relationship between Assets and Business Processes through the CMDB (Configuration Management Database).